Overall, Probium Probiotics Multi Blend 12B is one of the better probiotics I’ve tried. 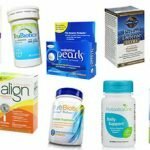 It has so many positive features that I look for in any probiotic supplement. First off, this probiotic is one of the most allergy friendly supplements that I’ve tried. It’s dairy free, gluten free, wheat free, soy free, egg free, and so much more. Extra points because it’s also Kosher certified, non-GMO, and vegetarian. The capsules have a delayed release formula, which helps the probiotics get to where they need to go in your digestive tract before getting to work. Probium Probiotics come in a nifty container that’s designed to absorb moisture and preserve the integrity of the live cultures. This probiotic also doesn’t need to be refrigerated, making it much more stable. The capsules contain probiotics and prebiotics (FOS & Sunfiber), which are special forms of dietary fiber that feed the good bacteria that already lives in your digestive tract. Further, it has a really solid strain profile consisting of 4 well-known and researched strains that can promote digestive health. Probium Probiotics Multi Blend 12B is a fantastic product that’s flexible and should work well for the vast majority of people who try it. 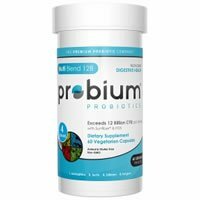 Probium Probiotics Multi Blend 12B has 12 billion CFU per serving in a blend of 4 unique strains. 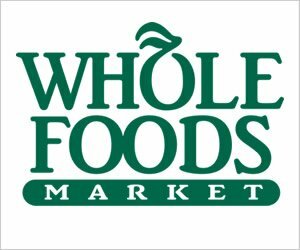 Of note, it contains Lactobacillus acidophilus, which is a naturally occurring bacterium that can be found in the mouth and intestines. L. acidophilus has been shown to help lessen the symptoms that come with digestive ailments such as IBS, Crohn’s Disease, and Ulcerative Colitis. It may help with uncomfortable belly problems like constipation, diarrhea, bloating, and gas. L. acidophilus may also help with anything from respiratory infections to urinary tract infections to reestablishing the normal gut flora in one’s body. The remaining three strains: Bifidobacterium lacti, Bifidobacterium bifidum, and Bifidobacterium longum all fall under the group of bacteria called Bifidobacteria. 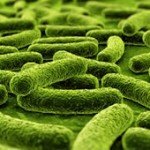 Bifidobacteria is used to help restore the good bacteria that are needed for optimal digestive health. It may be used to help those suffering from intestinal ailments such as Irritable Bowel Syndrome and Ulcerative Colitis, as well. 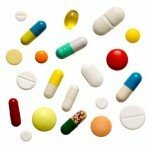 They may also help with alleviating diarrhea, yeast infections, eczema, lactose intolerance, and cold and flu symptoms. Probium Probiotics Multi Blend 12B may just be one of the best probiotics I’ve seen regarding allergies. Here is what it doesn’t have: No Soy, No Sugar, No Wheat, No Eggs, No Yeast, No Salt, No Maltodextrin, No Magnesium Stearate, No Animal Derivatives, No Artificial Flavors or Preservatives. It’s also Non-GMO, Gluten Free, and Non-Dairy. Something you rarely see is that it’s Kosher certified, very cool. The other ingredients include: Sunfiber® (Partially Hydrolyzed Guar Gum), Fructooligosaccharides (FOS), Vegetable Powder, Silicon Dioxide and Vegetable Cellulose (Delayed Release Capsules). Probium costs $35.95 for a 60 capsule bottle. This comes out to be about 60 cents a day, which is right around average. I think this is pretty reasonable for the quality this product has. Also, I’ve noticed that a lot of the online retailers frequently have this product on sale, so be sure to look around. I did experience some side effects while first trying out Probium. The first few days I took it, I did get a slight stomachache. Stomachaches are never fun, but I believe it may be due to the higher cell count. After about two days, though, the side effects went away and I felt really good! Unfortunately, like the vast majority of probiotics on the market, I didn’t see a satisfaction guarantee on Probium’s website. That’s a bummer, however, if you look around other major online retailers, you can usually find some sort of return policy in place. To buy Probium Probiotics Multi Blend 12B, click here.